Devs now have the green light to submit their games to Ouya, with the chance to score some free marketing. 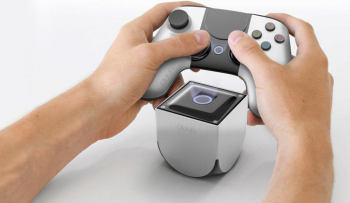 The Android-powered Kickstarter sensation Ouya is ready to ship in a few weeks, and if you're buying one for yourself, it appears you'll have plenty of day one content to get started on. The company has now officially opened the gates for any aspiring developers looking to make their mark on the open-source console. A recent Ouya blog post by Kellee Santiago, who is handling developer relations for the console, indicates that any games uploaded to the developer portal will be available on consoles shipped out from March 28th onwards. "This means the games you have in the store after today will be in gamers' hands when they receive their Ouya units - starting first with our Kickstarter backers, and continuing on through June when we launch to anyone and everyone who wants to get Ouya," she says. The co-founder of thatgamecompany also states that all submissions will be reviewed for any red flags such as hate speech, real world violence, copyright infringement and malware. The Content and Review Guidelines show that it took the team three days to review an "average Game" in the previous week. After the initial submission, any subsequent updates and add-ons to the game will be allowed at no extra cost. Ouya does specify, however, that any additional content and assets beyond the initial Game download should be delivered via the developer's servers. The company is also offering a promotional incentive: the top three games (measured by total playing time over six weeks) will be featured in an official Ouya documentary, showcasing each winning title's development and production journey. "We want to share your process, ups and downs, everything that goes into making the thing that you love - and that game we love to play," Santiago writes. "We will rely heavily on these documentaries to tell people about Ouya, and we'll share them far and wide as part of our launch marketing in June leading up to the holidays - everyone will know your name, your game, and where to play it."